Hair Color | Stylistic Inc. Choosing the style and color of your wig is a big decision. It is important to choose a hairstyle you love that will also look natural and be practical for your lifestyle. Whether this is your first time picking out a wig, or you are just looking for an updated version, choose a style you love before worrying about the color. Since most styles come in a variety of colors or can be dyed to match the color you want, this is an easy first step. Think about hair length and your face shape when choosing a style. Try a few wigs on to make sure the style you like on the mannequin looks just as great with your particular face shape and size. Shorter wigs are easier to care for and involve much less daily styling. Longer styles can overwhelm your features and be difficult to manage on a daily basis. As you try on wigs, think about how much time you have to style them each day and what your daily activities consist of. Choose the wig style that you feel most comfortable with, and don’t be afraid to ask your stylist for their opinion. Once you have chosen the perfect style for your new wig, start discussing color. First consider your natural color. Choosing a color close to your natural hair color will look great with your skin tone and seem more “you”. Not sure you want an exact match? 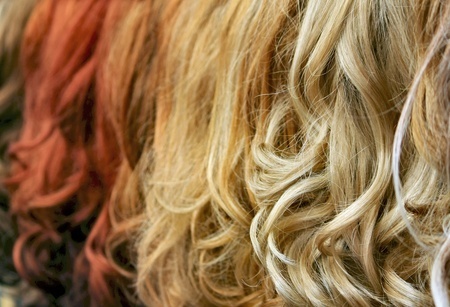 Try choosing a shade slightly lighter than your natural color. It will brighten up your face and be a nice, not-too-drastic change. Stylistics, Inc. offers a wide range of wigs, partial wigs and extensions. Looking for the perfect one for you, or interested in changing up your wig color? Contact us today and book an appointment to find your perfect fit! We look forward to seeing you soon. Does Coloring Your Hair Really Cause Damage?